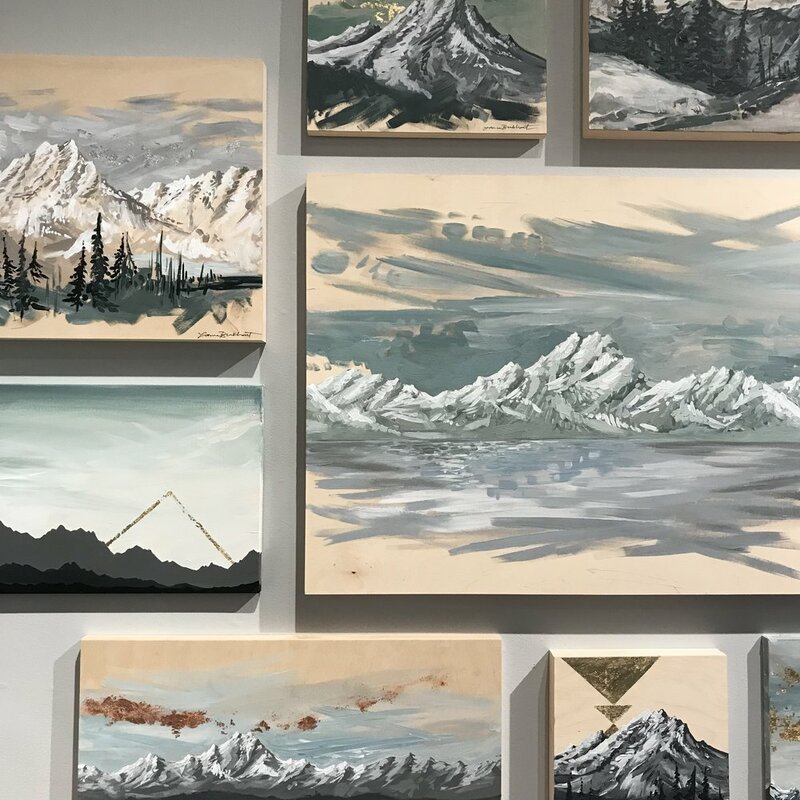 A group show with local Seattle artists at the Seattle Bouldering Project First Thursday Art Walk. 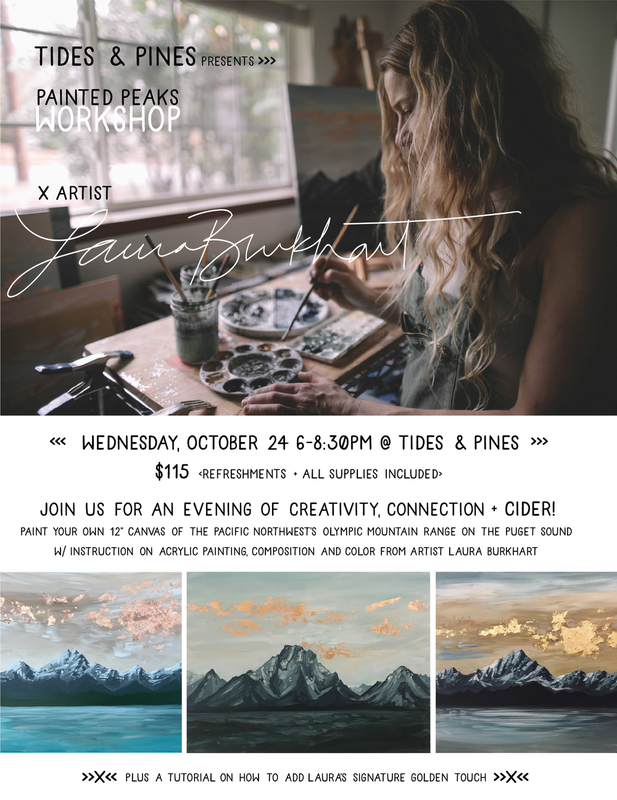 I'll be sharing my own techniques for painting the Olympic Mountain range on the Puget Sound and discussing composition, color and light. 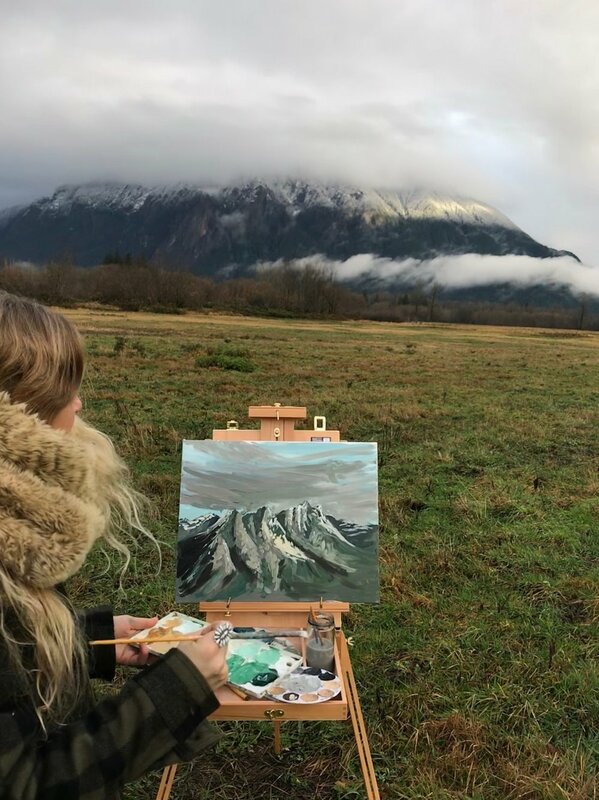 You'll paint your own 12" canvas, learn how to mix your own acrylic palette, capture light on water and mountain peaks, AND get a tutorial on how I add my signature metallic touch. All levels welcome, materials and refreshments provided. Join us for an evening of FEELING GOOD GIVING at University Village Lululemon. A collection of Northwest Craftsmen and Women. I’ll be collaborating with some incredible local vendors to be part of The Big Fake Wedding; a Bridal Show alternative complete a vow renewal ceremony, light bites, and a dance-party reception. Show of a curated mix of my latest original acrylic paintings on canvas and wood. Pieces from both of my latest series ‘Mountain Metallics’ and ‘Overcast’ will be represented. To help celebrate the launch of Filson's CCF Specialty line, I will be on site at the iconic Filson Seattle Flaghsip in Sodo working on and selling my woodwork pieces. I'll be in the shop painting a new Mountain Metallic piece on site. Come by and say hello, watch the progress, + shop the paintings up for sale! Come find me at Magnuson Park where I'll be selling my woodwork + geometric designs!